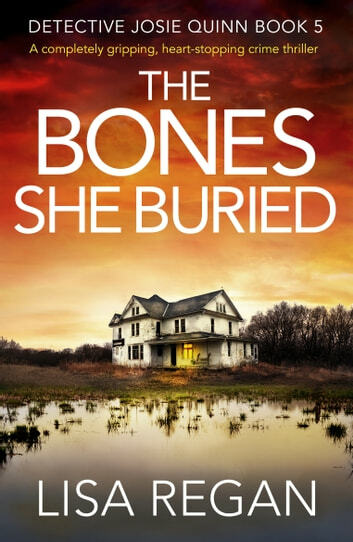 Thank you NetGalley for the ARC of The Bone She Buried by Lisa Regan that I read and reviewed. The fifth book in the Josie Quinn series took Josie and Noah on another personal cas when they went to Noah’s mom’s for dinner and found her dead facedown in her garden. In this book it puts the relationship of these beloved characters to a true test and has readers questioning in the relationship of these two that we have been cheering for in many books will make it. This book also has a number of other twist and turns that keep coming up and a body count that goes up from the past and present that keeps Josie and her team busy. I can honestly say this book is full of surprises and I really did not see the final twist coming. This is one of those books that you have to keep up with to really know what is going on but it is a really good read and I am sure that Josie Quinn will have more crimes to solve. This book gets four out of five stars. 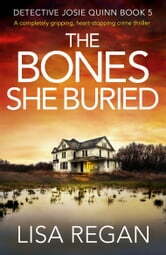 The Bones She Buried is book number five in the Josie Quinn series by Lisa Regan. Ms Regan did an excellent job of peppering past information throughout that if you haven't read the first four stories it won't effect your reading experience. I have been with this series since the beginning and my only regret is that Ms Regan doesn't write faster and the story always ends too soon! Ms Regan gives her heroine (and reader) a case to solve and does an excellent job of also filling in the personal life of Josie, so we feel like she is an old friend. I was given an early copy to review. Painful to read how the relationship between Josie and Noah is an the verge breaking because of what happened to Noah's mom and a sister with no love for Josie. Almost till the end I had no idea what was going on whatsoever with the case. Great story with likeable and not so likeable characters. Five stars and a must read series! I chose to read this book and all opinions in this review are my own and completely unbiased. Thanks to NetGalley and Bookouture! It appears that each of the five books in the series sort of focuses on one of Josie's colleagues (except for book 3 which focuses on Josie herself). I wonder who book 6 will focus on. Also, I read the first five books close together so I remember most of the events from previous books. Since it will be a while until book 6 is out, I wonder how much I will remember. The body count in this book was rather high and the motive and resolution surprised me. It is a good addition to this series. After reading all five Josie Quinn stories I am thrilled to hear that there are to be more. I can't wait.